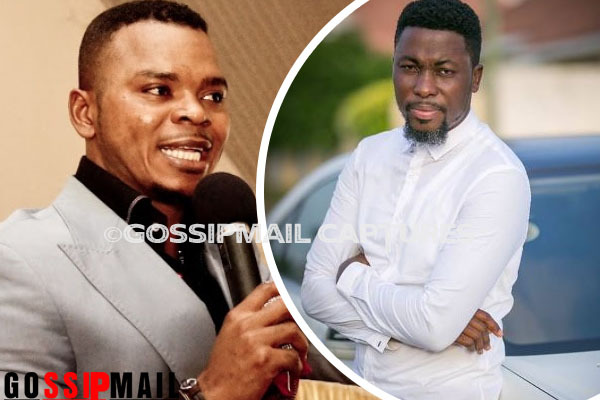 Musician and comedian, Kwame A Plus is very very angry with the fact that his name has been included in a list of Ghanaian celebrities who do not believe in God. Making clarifications, A plus said he believe there's a God. However, he's not a believer of Religion. He moreover argued that most of the churches we see around are just in for the money of their helpless masses. A Plus mentioned Obinim’s name in his argument, noting that the man of God goes for the populace who are mostly the illiterates. “99% of the churches you see around are just money making venture. ICGC, Action Chapel etc know the mindset of the elite/literate and have come up with strategies to take from them. Obinim goes for the masses…. mostly illiterates. The common purpose is to take money from people”. "My attention has been drawn to a publication about some Ghanaians who don't believe in God which includes me. How? Let me make this very clear. Not being religious is totally different from not believing in God. People have created their own fake Adam and Eve and snake story around God to manipulate people and take their money. 99% of the churches you see around is just a money making venture. ICGC, Action Chapel etc know the mindset of the elite/literate and have come up with strategies to take from them. Obinim goes for the masses.... mostly illiterates. The common purpose is to take money from people. That is why you pay your tithe, the church uses it to build a university but you are not allowed to write exams for non payment of fees and you still pay tithe hoping that God will give you money to pay fees. You are fooling yourself my friend!!! As a child I was told God is very powerful. He created everything by word of mouth. The same people told me that he will come back to this earth with an army of angels on horse back to destroy sinners... stars will fall from heaven unto the earth. Then I grew up to realize That the smallest star is bigger than the earth. So tell me. Where will the stars fall? And why will someone who created this amazing earth and billions of galaxies by word of mouth come and destroy mere humans with an army of angels on horse back when he can just shout "DIE" and all sinners will die? So after the snake spoke to Eve it became dumb and didn't speak again? You choose what to believe, I respect that. This is A free world. Just believe. As for me, I am not religious. Religion to me is the worse thing that happened to the world but There is A God!!!"